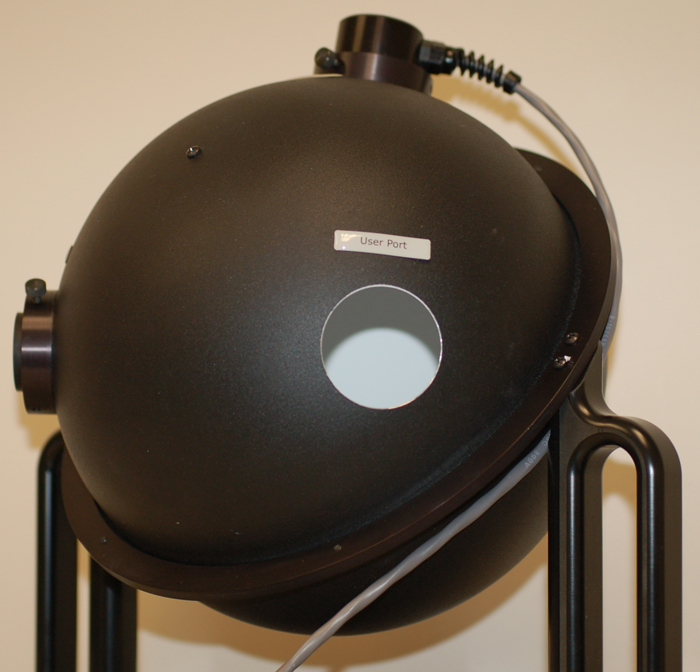 ILT manufactures a family of Integrating Spheres designed to meet the vast majority of your light measurement needs. Integrating Sphere diameters include 10", 5" and 2". ILT has been manufacturing integrating spheres for over 50 years. Our Integrating Spheres product line offers a versatile selection capable of measuring watts, lumens, candela, lux, joules, W/cm2 etc. 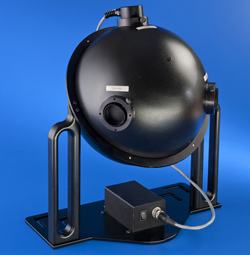 ILT integrating sphere-based systems support measurements from a wide variety of light sources including: lasers, fiber optic light guides, endoscopes, small sources such as miniature halogen lamps, LEDs, neon lamps and larger sources such as LED modules, flashlights, automotive lamps and more. 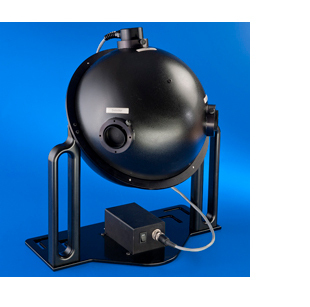 ILT integrating spheres can be combined with our ILT2400 Hand-held, ILT5000 and ILT1700 Research Radiometers, as well as with our ILT950 Spectrometer for spectral characterization including CRI, CCT, chromaticity, and total flux in watts, and power. The interior surface of ILT's Integrating Spheres is coated with #6080 White Reflectance Coating which produces a stable, efficient and highly diffuse reflectance over a broad wavelength range of 250-2500 nm (see graph). 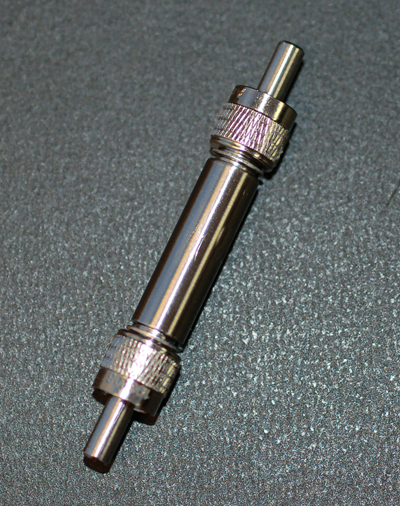 Can be mounted on most SED(SEL) detectors/filter assemblies with the use of the P10 or P11 and appropriate adapters. Note: Detector & Stand Not Included with Sphere. A100 Transfer Lamp and 5VDC Power Supply can be used to accurately adjust calibration or readings for almost any application. 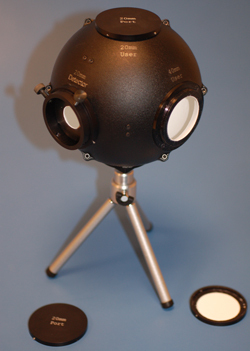 A250 Lamp Mount/Adapter painted with the same reflectance surface as all integrating spheres. A254 50 mm Port Adapter fits over 50 mm ports to allow better zero as well as test of light loss caused by the structure of the item under test. 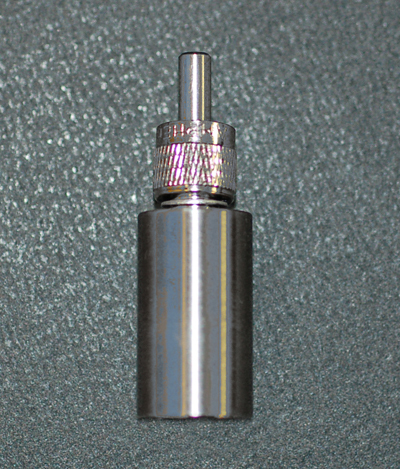 P6SMAW Fiber Optic Adapter required for attachment of SMA905 fibers to the detector measurement port. A204 Small Tripod with 1/4 20 thread for use with INS50, INS125, ILT950 optice and SED(SEL) detectors.